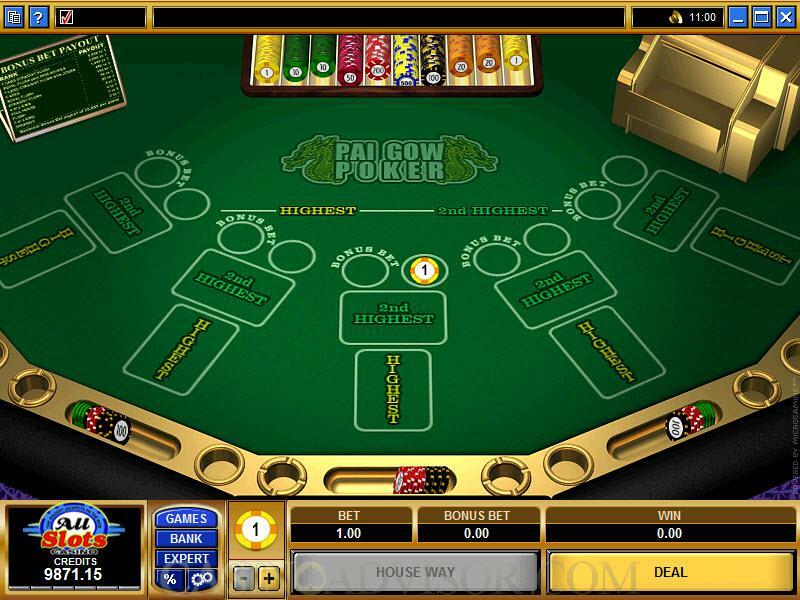 Pai Gow Poker is an interesting and unique offering from Microgaming, the world's acknowledged leader in online gaming software. The game is conducted with 53 cards, including, and your goal as the player will be to form not one, but two separate hands that will beat the two hands the dealer has. Pai Gow Poker is truly different than almost any other game you will come across, but of course there is a basis in the game of poker, so if you are familiar with playing poker, it should not take so long to get the hang of it. all it would take is an understanding of how the bonuses work and the function of the Joker. And speaking of the Joker, it does not work like it might in another poker game or on a video poker or slot machine. 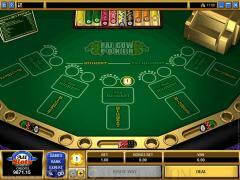 In Pai Gow, the Joker does not complete any and all possible winning combinations. It can only be used to complete a Straight, Flush, Straight Flush or Royal Flush. In all other cases, the Joker is simply counted as an Ace. 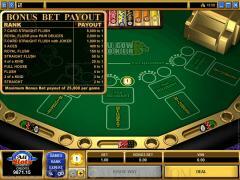 You have the opportunity to place Bonus Bets in this game. These are placed at the same time the regular, or main bet is placed. So on what basis does the Bonus Bet pay off? Well, it depends on how good your SEVEN-card combination is. In other words, before your cards are split into a High hand and a Low hand, the value of the entire seven-card group is the determinant of whether you get paid on the Bonus. 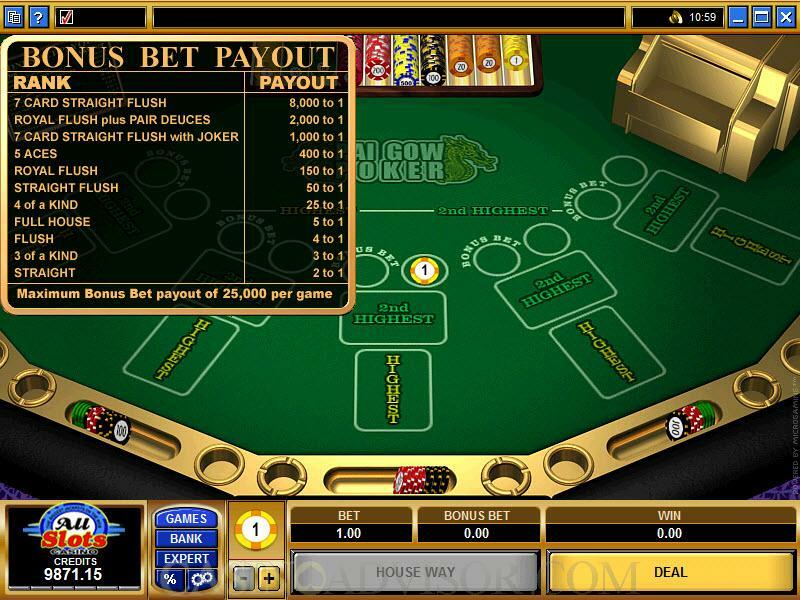 The Bonus Bet payouts are displayed on the interface, as you run your mouse over the sign in the upper left-hand corner. A seven-card Straight Flush pays 8000-to-1. The maximum bonus payout available is 25,000 units. The best High Hand you can achieve that of four Aces and a Joker. After that comes the Royal Flush (which can be completed with the Joker). The best Low Hand you can get is a pair of Aces. Interested in reading more detailed information about Bonus Pai Gow Poker? If so Click Here for more details.